Professional and Certified AIrbrush Tanning - 'SoDesirable'-Professional Airbrush Tanning: A Safe Way To Tan! We are 'SoDesirable' and now you can be too! 'SoDesirable' - Professional Airbrush Tanning delivers a naturally Bronzed never Orange nor too dark of a tan. It works naturally with your own Ph-Balance and Protein levels. Our Solution is FDA approved and safe for you to tan naturally. Spray Tanning is a safe NON TOXIC and natural way to get tan. No matter what your skin tone is we have the perfect color for you. 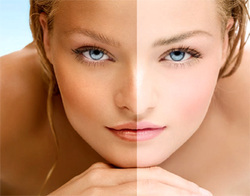 Spray Tanning is perfect for Special Events - Weddings - Pre Vacation Color - Uneven Skin Tone - Spider Veins etc.